The lion agreed to this, although he laughed at the idea that a little mouse could help him. Now one day the lion was caught in a hunter’s net, from which he could not free himself. 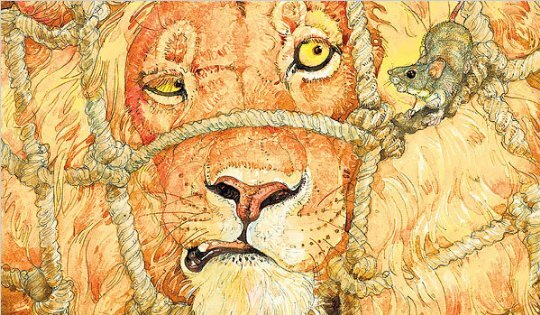 The mouse climbed into the trap and gnawed away the rope with his sharp teeth, thus allowing the lion to escape.